Mumbai, April 17 : Actor Akshay Kumar says cinema is not only a way to reach out to the masses but also to educate them. Be it "Padman", "Toilet: Ek Prem Katha" or "2.0", which will be telecast on Zee Cinema on April 21, Akshay backs films that send out a message. The actor says it is his way of giving back to the society. 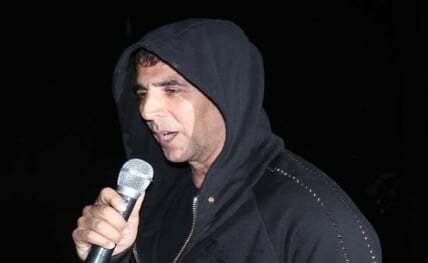 "I feel movies are a type of communication that is consumed by majority of people not only in India but also internationally," Akshay said in a statement. "It is a way of not only reaching out to the masses but also at times educating them. I feel there is no point of being an influencer if you can’t make the best use of your platform to improve the country. This is my way of giving back," he said. Akshay portrays the main antagonist, an eccentric scientist named Richard in "2.0". The film marked Akshay’s Tamil debut and is his first film with megastar Rajinikanth. Talking about the film, Akshay said: "’2.0′ is a mega movie and the first in my career. While I try to explore different roles, I genuinely felt that this would be a completely different ball game. It rightly proved to be so. In all my years of being part of the industry, I have never seen so much money, talent and technology work together from different parts of the globe to make a film of this magnitude."